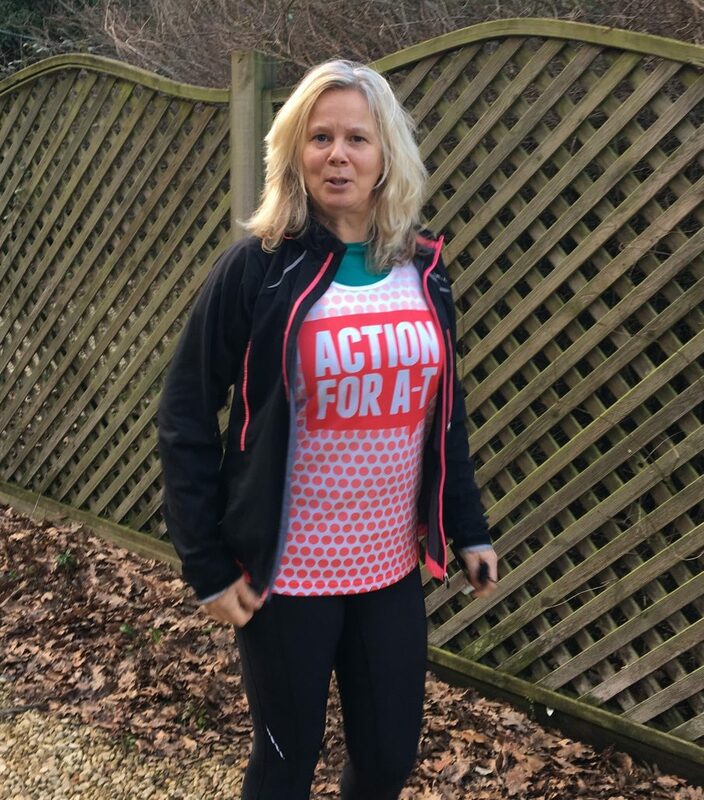 Alison Green tells us in her own words why she has decided to join the Action for A-T Virgin Money London Marathon team. Although I have completed marathons in the past, they have always been a challenge following a ski accident where I fractured my pelvis. There has been the physical tiredness, the mental capacity to run through the boredom and of course injuries. My whole family have endured the challenge alongside me. This year will be my last marathon due to my age (I am 53 years old) and the many physical barriers having not run a marathon for five years. There will also be a huge emotional mountain that both myself and my children have to conquer. Running for the amazing charity Action for A-T helps me with this climb, which can feel overbearing at times. I don’t have or know anyone that has Ataxia Telangiectasia but as a family we are linked with a charity who are trying, with all the fundraising, to find a cure for this life threatening disease. On the 2 August 2015, my husband Stephen took part in the Prudential Ride 100 London and was lucky enough to ride for Action for A-T. Until that year we were unaware of the devastating disease with no cure that affected children the same ages as ours. He felt so proud to be riding for a great charity. He was nervous about fundraising beforehand but he had previously taken part in the inaugural event so was excited about the challenge in 2015. He set off early that morning full of joy as did my three children and I as we had planned to shout and holler for him at the finish line on the Mall where we had cycled as a family the day before in the Freecycle event. However in a similar way to those parents who get the diagnosis of their child having ‘A-T’, our lives changed on 2 August 2015 at 12.30. Stephen Green never finished the race and we never saw and waved at him riding down the Mall. His life race finished on Leith Hill. So on 22 April 2018, I am finishing that race not on a bike but on foot, running for Action for A-T in the Virgin Money London Marathon. For myself and my children, I will overcome the fear that you can start a challenge and return safely. I can’t describe the mental capacity I need on this journey and I am scared as anything but with support and raising money so that we can hopefully find the cure for ‘A-T’ I know I will get to the finish line on the Mall. Preparing for my final race won’t be easy. I spend lot of time crying when I run and will probably do the same on the 22 April but determination and the will to finish the race plus continuing the fundraising that Stephen started must and will be my mantra.